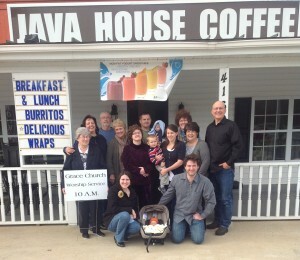 The Greensboro, N.C., Grace Brethren Church meets in a coffee shop. 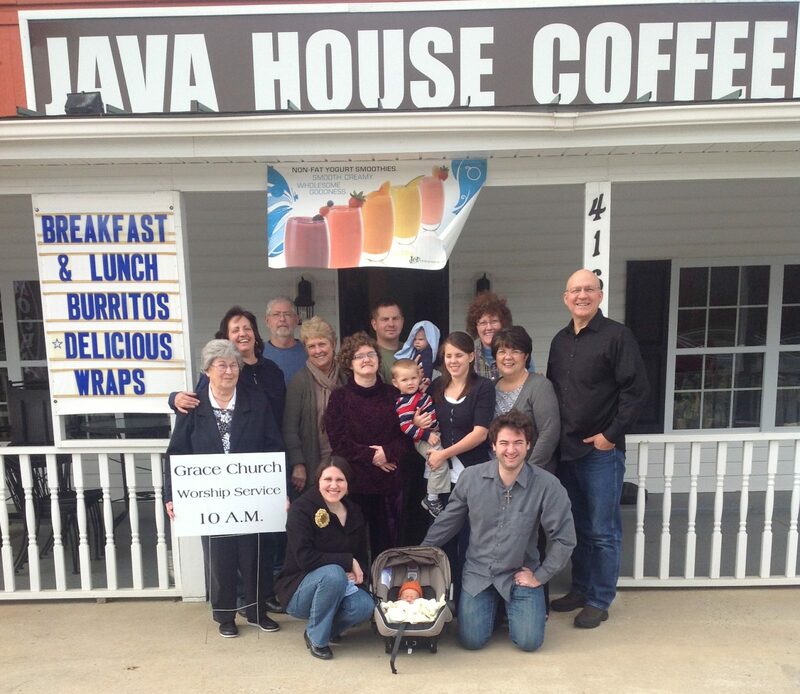 Church Planter Daniel Pierce is standing at the right, next to his wife, Teressa. I serve Hospice here and was assigned Gary a man with terminal cancer. Three weeks ago was my first visit and I shared the Gospel of Jesus saving work. My visit was followed up by the [hospital] chaplain who led Gary to The Lord. Gary died yesterday but he entered into glory. The Hospice nurses shared this morning that the door was opened, the seed was planted by your missionary here in the Triad. Thank you all for partnering with us here in North Carolina.